Unlocking your phone through your unique beardprint. (Image: iStrategyLabs). Perhaps even more likely to make the rounds than the cute company videos at Christmas, it seems tons of tech companies out there have fun April Fools’ pranks to show off. From a selfie-taking bot, to a biometric, beard-reading phone, here’s a quick roundup of some noteworthy April Fools’ videos made this year. With the tagline, “Always watching for life’s most precious moments,” this floating, robotic ball takes pictures of all of our most special moments from the most flattering 35-degree angle. Well, at least that’s the idea – we’re just happy this thing isn’t actually real, because imagine what our Instagram feeds would look like. Apparently, the secret behind virality is not great video content or an intuitive understanding of pop culture. All this time, it’s been YouTube that has been creating all of the world’s best viral videos. From Gangnam Style to trampoline fails to planking, apparently YouTube has carefully created all of these from scratch. Next up for this year’s set of video trends – clocking, finish lining, butter failing, baby shaming, and the glub glub water dance. We’ll let you watch the video to figure those ones out. Looking to join Google’s team? The newest job opening at Google is a little unconventional, but highly covetable – the role of Pokémon master. We actually wish this was completely real. Playing off of Apple’s biometric, fingerprint-sensing security feature on the iPhone 5S, iStrategyLabs is proposing another way to unlock a device: by rubbing it all over a bearded face. “We’re able to use beard-print recognition technology, also known as BRT,” says product manager Zach Goodwin in a close-up shot in the video. With the straightest of faces, he adds the technology is safe, convenient, and uses a unique algorithm to recognize a user’s beard. Nor are women or beardless men left out – apparently, BRT is also able to pick up a user’s identity from his or her eyelashes. 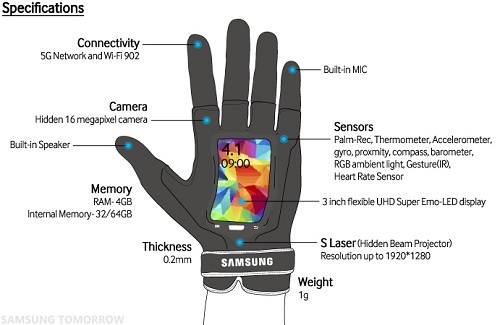 And it wouldn’t be a complete April Fools’ Day 2014 roundup if we didn’t mention how Samsung, HTC, and Toshiba all released joke videos for futuristic gloves. Playing off of renewed interest in wearable tech, maybe it’s inevitable tech companies would spoof wearables – though three companies doing glove-related pranks is enough to pique our interest. Samsung Fingers: its April Fools’ Day prank for 2014. (Image: Samsung). 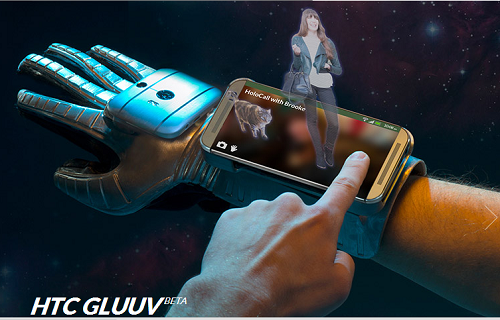 The HTC Gluuv, its April Fools’ Day prank for 2014. (Image: HTC).